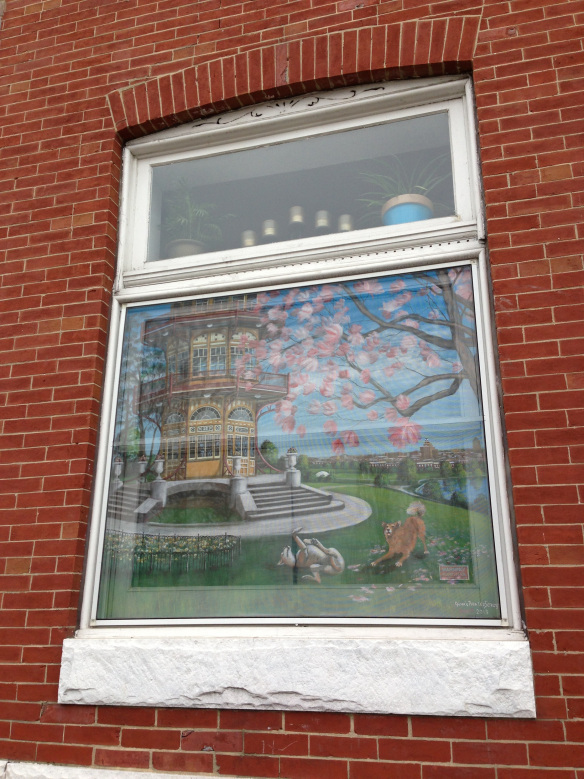 "Painting the Town, One Window at a Time"
Celebrating more than 100 Years of Baltimore Window Screen Painting! 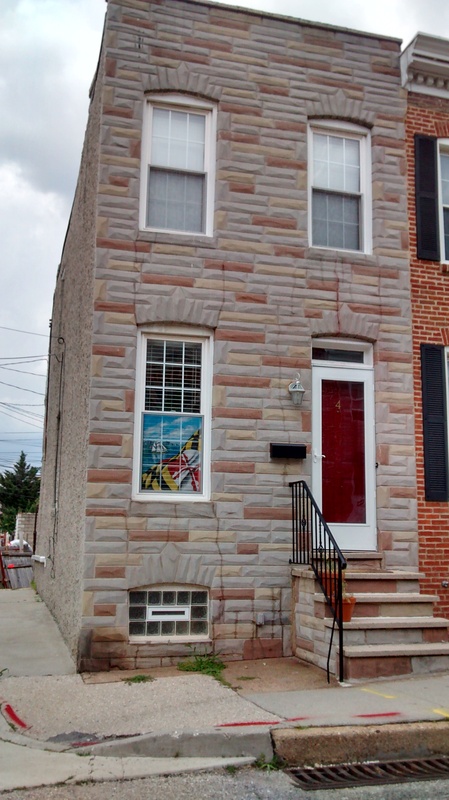 and provides you with degree of desirable privacy. 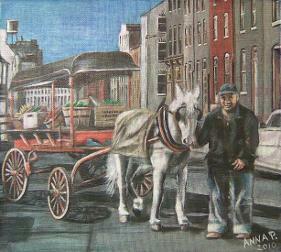 Learn to paint a screen and join Anna at Events-to-Paint-the-Town. 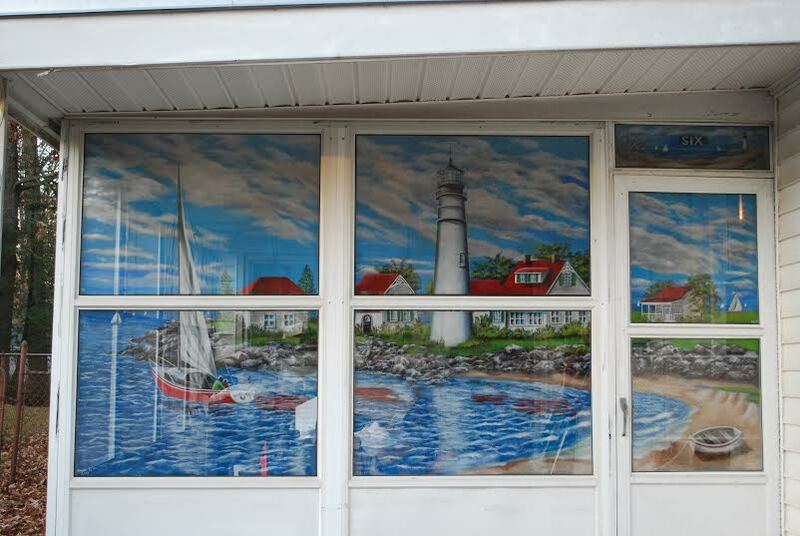 Ask about having your custom privacy screen painted for home, business, city,or shore. Customer satisfaction is a highest priority. I offer a three year guarantee on paintings on metal wire. 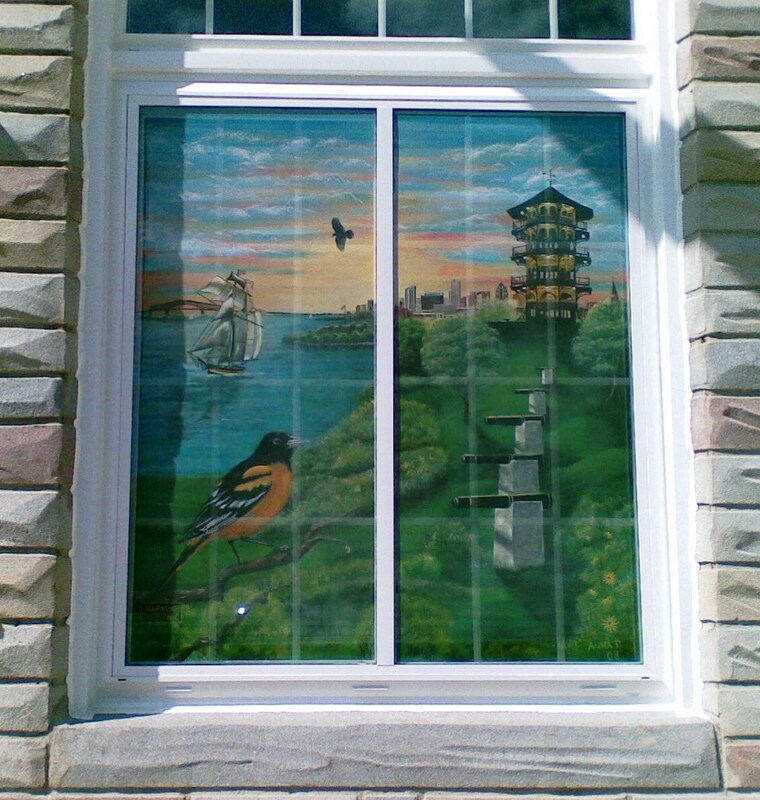 Each window screen is hand-painted especially for you with a design of your choice. 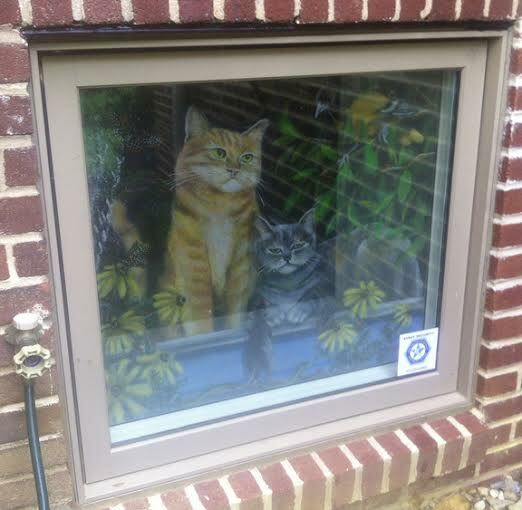 Some commissions include a complimentary maintenance touch up, Prices start at $50 and average $15-30 per square foot, depending on the size of the screen and the design. 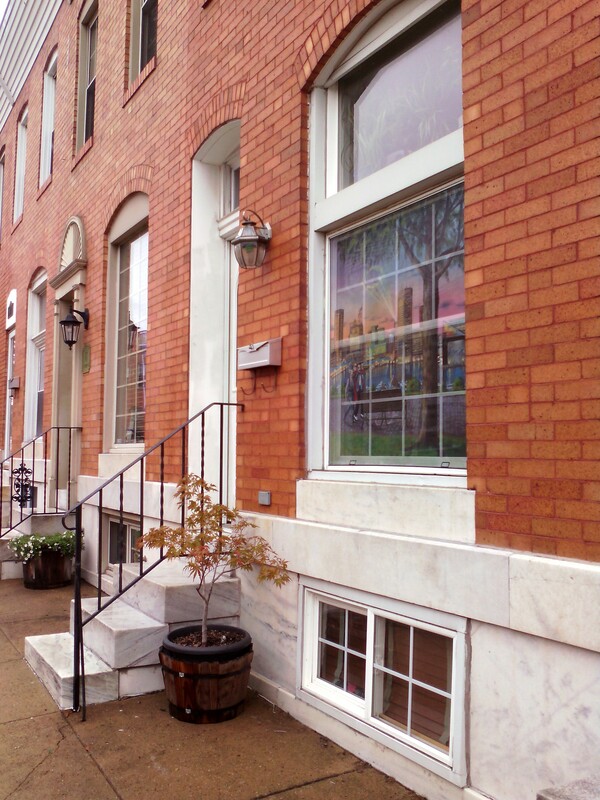 Convenient pick up, rescreening, and delivery are available. 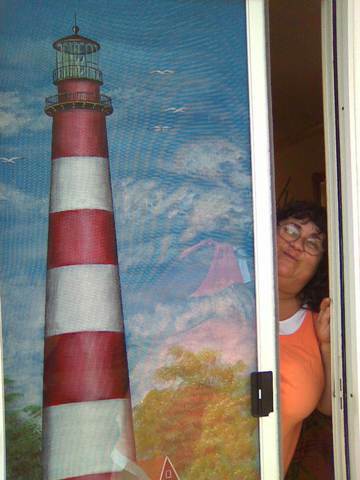 A happy customer peeks out of her privacy screen. "You see out. No one sees in."